“If parents want to give their children a gift, the best thing they can do is to teach their children to love challenges, be intrigued by mistakes, enjoy effort, and keep on learning.” — Carol Dweck, Ph.D. This is my greatest parenting focus right now. To let my son know it’s not only okay to fail, but it’s expected. If you don’t fail, you haven’t pushed yourself far enough forward. 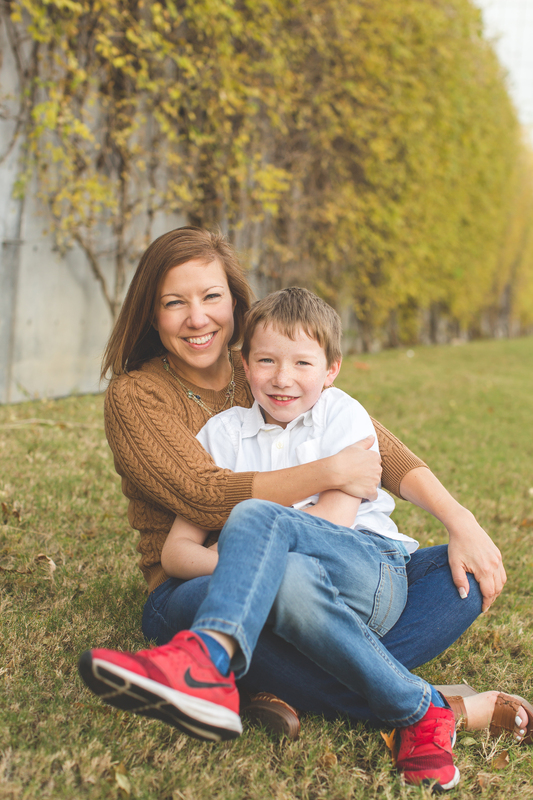 As a part of my series about “How extremely busy executives make time to be great parents” I had the pleasure to interview Jessica Yarmey. 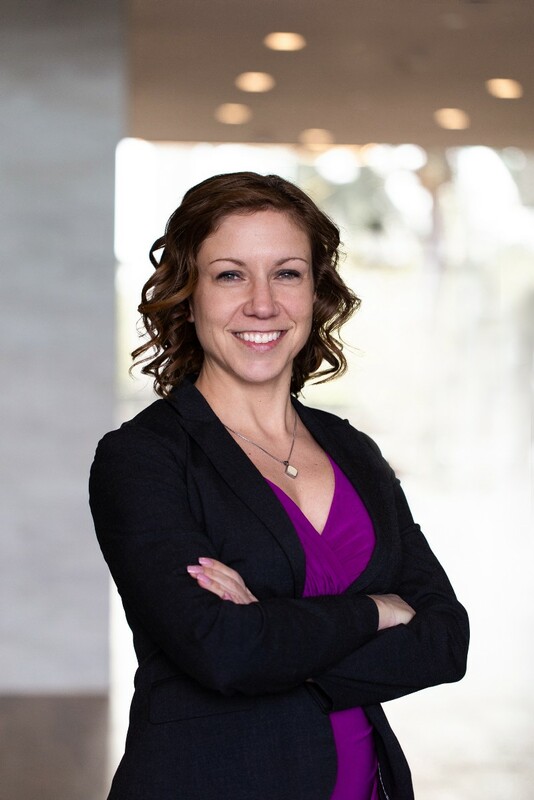 Jessica is the Chief Marketing Officer at Club Pilates, an Xponential Fitness boutique concept with over 500 locations across the country and in Canada. Before joining Club Pilates, Jessica worked with Youfit Health Clubs and Gold’s Gym in marketing roles. Her 20 years of marketing experience also includes brand roles with restaurant concepts as well as account roles with advertising and media agencies. She received her undergraduate degree from Loyola University in Maryland and her MBA from Belmont University in Tennessee. I grew up in a small town in Northeastern Pennsylvania, the middle of three daughters. With an older sibling as a benchmark, I built an early and solid sense of things at which I was good and things I wasn’t. It was an early age strengths assessment! My older sister was smart. I was better at sports. She excelled at music. I excelled at art. I naturally focused on my strengths instead of trying to get better at things that she was good at. Plus, I picked up a decent dose of assertiveness! In 2016, I got laid off from Gold’s Gym. I was working in a marketing role that was a perfect overlap of passion points, so the layoff really shook me. I was on the right path! I didn’t want to be in a different space or a different industry. It took some soul searching to get to the realization that I could take action and get right back on that same path. I didn’t need to pivot or switch industries. So I reached out to every person I knew who was working in the fitness space at the time, and I ended up working for Youfit Health Clubs in Southern Florida. When I got the call from a recruiter regarding this role with Club Pilates, I honestly wasn’t looking to make a move. But my career goal was to be in the CMO seat for a fitness company so I couldn’t pass the opportunity up. At the time, I hadn’t heard of Club Pilates, and I had only done Pilates twice in a rehabilitative setting. Before I interviewed in person, I went to a nearby studio to see what the brand was all about. When I walked in, the instructor introduced herself and said, “You must be Jessica,” and I was floored for two reasons. Number one, she knew I was a new face so I must be the first timer on the class list, and number two, she made the introduction in a way that wasn’t creepy, but more like “hey, we’ve been waiting for you!” A few weeks later, I’m moving across the country to introduce the world to this amazing concept. Looking back, every role was a stepping stone to get to where I am today, including the defeat of getting laid off. At the time, it felt like complete failure but it was really the catalyst of change that brought me to Club Pilates. 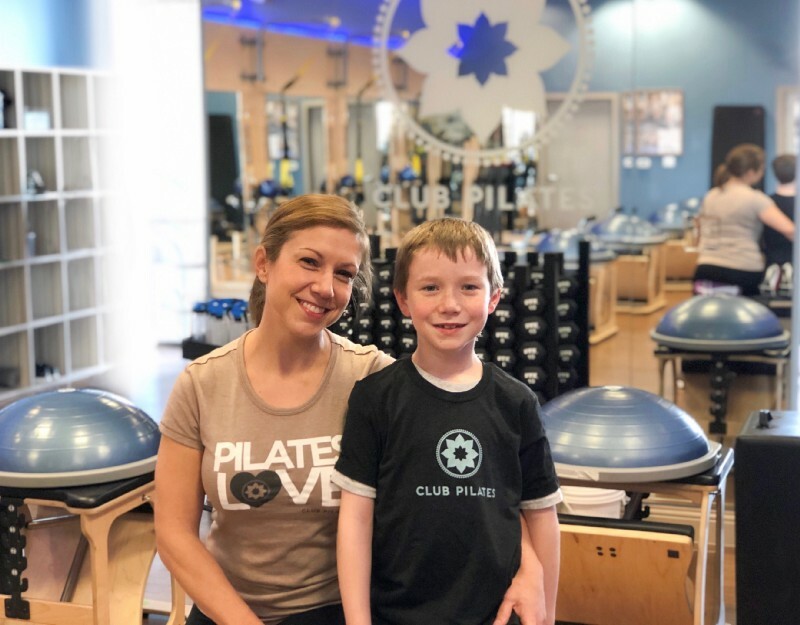 Andre Gide wrote, “You cannot discover new oceans unless you have the courage to lose sight of the shore.” I had to find the courage to fight through the storm and get to the amazing new ocean and opportunity with Club Pilates. I am a divorced mom with a work life in California and a home life in Dallas. Monday through Thursday, I wake up at 5:45 to get a quick workout in before work. My office hours starts at 8:30am and runs through around 6:30pm. When I get home, I knock out some life maintenance like laundry then log back onto email and get to bed before 9:30pm. On Thursday nights, I fly back to Dallas so I can pick up my son, Henry, after school on Friday and spend the weekend with him. This extreme schedule doesn’t work without a village working around it! Firstly, Henry’s dad is a super-dad who works the car drop off line in the mornings, school fund-raising in the afternoon and a full-time job in between. Secondly, my Club Pilates team knows my schedule so if it’s a weekday, they know I will be on email most hours of the day. But if it’s the weekend and something comes up, they know to text me. In my mind, the biggest risk to spending too much time away from your kids is that they will miss the unconditional and limitless love that parents provide. Teachers can keep kids on track with their book learning. But parents provide love and support. When kids feel loved and supported, they are happier, more confident and develop a strong and positive sense of self at a young age. When I get home from spending days away, my son wants hugs. He wants to hold my hand. He wants me to refill that love bucket that gets drained in the days we’re apart. Quality time together is one of the best ways to show your kids love. When you sit and listen to them, you’re communicating to them that their opinions matter. When you write stories together, you’re providing positive feedback for their imagination. When you laugh together, you’re showing them that you’re happy because of them. Kids are constantly listening and learning. My son is eight so he’s at an impressionable age. When I talk, I will hear him somewhat under his breath repeat the same words back to himself. He’s modeling my words and sentence structure. The mirroring effect happens with things like happiness and stress as well. If I’m happy, he’s happy. If I’m stressed, he will get stressed. Many adults have read the book “The Five Love Languages” written by Gary Chapman. As a mom, I want my son to know more than anything that he is loved, so I’ve taken this structure of love into my parenting. Two of the five love languages require time together: Quality Time and Physical Touch. Until he’s old enough to understand or to be able to identify his own primary love languages, I have to cover all of them! So when I am home in Dallas, I try to hit on each of the five. When we’re apart, I try to fill in one of the other three: Acts of Service, Gifts and Words of Affirmation so he’s still feeling love even if we’re not physically together. My work schedule takes me away from my son for most of the week so my quantity of time is limited. In order to wrap my head around spending that much time away (without being paralyzed by crippling motherhood guilt! ), I HAVE to believe in the quality time vs quantity of time. I have three days per week to be communicating my love via Quality Time and Physical Touch. But that atypical schedule has really pushed me to be a better parent as the time that we do have together, I am very present. Saturday and Sunday morning, we go out for coffee and bagels — just the two of us. We don’t take phones. We just talk. Most recently, our conversation evolved to flying cars and how he will see flying cars as a new technology in his lifetime. I told him how I didn’t have a cell phone until I was in college and that really blew his mind as he’s already on his second iPhone! My son is at a creative and imaginative age so we often create together. If we are out to dinner, we will write a story together with each of us alternating sentences. And then he ends up taking over and illustrating the story. I taught him how to edit videos and now he’s a better editor than I am in iMovie and VideoShop. We recently filmed a stop motion video where he had certain army guy characters that he was in charge of moving, and I had others. In the end, some red play dough was added to guys who were shot and he layered on sound effects on his own. We sometimes put ourselves in front of the camera and film toy reviews together (which never turn out good enough to post on Youtube)! But he’s speaking off the cuff and in front of a camera which is a solid presentation skill to have! As schools are cutting back on creative time, I think it’s important to create together and reinforce that using your imagination is a positive. This is very old school, but we go to the park. Sometimes we will bring a soccer ball. Sometimes he will climb on the play structure. Sometimes he will be on his scooter. But whatever he decides he wants to do that day, I’m doing it too. I think it’s important for parents to be involved in play versus watching from a bench with one eye on Facebook. Being active together is important as it establishes that healthy habit at a young age. Where I can seamlessly overlap my work life with my mom life, I will involve my son in my work which he actually really enjoys. As an example, Xponential Fitness was exhibiting at last year’s IDEAWorld conference in San Diego. I was there representing Club Pilates and on one of the days, I brought him with me. He handed out flyers and proudly wore an ill-sized Xponential polo shirt. He took it really seriously and kept on asking for more flyers to distribute! After the event ended, we spent the rest of the weekend at a hotel pool. I want him to see and live that balance between work hard and play hard! Get your cell phone usage under control. I removed all social notifications from my phone at the new year in an effort to decrease my screen time. It’s amazing how changing your settings can impact your phone usage. I’m not bold enough to turn my phone off but I’m moving in that direction. Turn the TV off. I try to limit TV time in the house to a movie or show that we are going to watch together. The “always on” TV presence is actually something I can’t stand because I personally have a hard time focusing and being present if there is a show on. Instead, we will listen to music. Henry likes to be the DJ either via Pandora or YouTube. Protect your calendar. If I accepted every meeting request, conference invite or networking opportunity, I would end up working late or having to work on the weekends which I avoid doing. Knowing that I need my Saturdays and Sundays to be family time, I try to work as efficiently as I can through my work days. If there are too many meetings happening, I will block time on my calendar just to sit and work through emails that may be backing up. My son often calls me at 5pm during the week so I block that time on my calendar as well. Set boundaries with your inbox. Early in my career, I felt like I had to always be on email, often responding to things fast and at off hours. We somehow all got pulled into this game of responding faster and faster regardless of the time of day. Now, I intentionally have time when I’m not on email, including most weekends when I’m with my son. There is no way you can spend quality time while your laptop is open. Your attention will inevitably be divided. Don’t bring the stress home with you. While I think it is important for kids to see their parents work hard, they should not feel your stress. If you bring your work stress home, you will be unhappy and short tempered. Your child will pick up on that and will experience your stress with you. Determine a transition window where you leave the stressful pieces behind and you show up for your child as happy and relaxed as possible. There are many days when I question my parenting. Am I a “good parent”? Am I giving enough to my son? I think all parents have that worry and that guilt that kicks in periodically. But my greatest tool for working through that guilt is to truly work through that “good parent” definition. While there are so many different parenting philosophies and approaches to parenting, I define a “good parent” similar to how I would define a “good manager” or a “good coach.” I believe all good parents set high standards and then simultaneously provide resources and support to help their children reach that bar. One small example was when my son was learning to swim. I had to get him into the pool frequently and provide positive reinforcements for his efforts. He is timid about trying new things, so I had to push him but also support him and celebrate with him when he made progress. Similarly, at work I challenge my team to consistently grow and step up to challenges. But I have to hold up my half of that equation. I need to provide resources and support along the way. Then, when we hit milestones, we celebrate together. I often repeat that cliché mom line about “you can be anything you want to be if you put your mind to it” but I also try to show him unique career options especially in the creative space. Since he’s very into video editing, I took him to meet the guy who directs all of the production for Club Pilates. He showed my son the movie edit he was working on and he shared some stats about the thousands of editing hours that went into Star Wars. The next words out of my son’s mouth were “So I could be a video editor for the next Star Wars movie?” Yes, you can. You can do anything if you put your mind to it. Success to me is approaching every day as an opportunity to do better than the day before. Did you stretch yourself out of your comfort zone today? Did you learn something new? Did you use every tool at your disposal to create a better path for yourself? Defining success in that way requires consistent and daily effort. Where that effort ends, success ends. I have been on both ends of the spectrum and have seen how short lived success can be. You have to bring your best effort every day. Success is making the most of the good days and the bad days. Every new parent should read “Mindset” by Carol Dweck. The book essentially outlines the critical differences between a growth mindset and a fixed mindset. The growth mindset believes in learning, thrives through challenges and generally sees the correlation between hard work and progress. The fixed mindset is the opposite, essentially disassociating outcomes from effort. As parents, every word we say matters and there is a difference between “You’re a great artist” and “That picture has so many unique colors. Which color did you like creating the best?” One compliment is static and one applauds the process and encourages future exploration and possibly even failure. The life lesson quote that I most often revisit, is “Fortune favors the bold.” I am a believer in taking action to control our destiny. I have taken a number of bold actions throughout my career. Some have failed, of course, but some have succeeded. One of my greatest fails was when I applied for a job at Under Armour. I felt like I needed to do something to stand out from the hundreds of applicants so I mailed one of my original Under Armour long sleeves from my collegiate soccer days in Baltimore with a note about how I have been a brand fan since before UA expanded outside of the northeast. The HR manager called me to get my address to ship the shirt back, and I never got an interview! But some of my bold actions succeeded. I’ve gotten three roles in my career that were never posted to job boards. I simply reached out to the right person with a relevant reason why he or she should hire me. Being passive is a waste of time. Don’t sit back and wait for amazing things to happen to you. Make it happen. Ask. Be bold. I’m raising my son to be bold. When we go for breakfast, I make him order what he wants, sometimes even standing in line by himself to order. A few times early on, adults would jump him in line, not realizing the kid who was just taller than the counter was actually going to order. Speak up. Stand your ground. Go after what you want. He doesn’t get jumped in line these days. I am pretty passionate about being an active parent and raising an active child. According to the CDC, the percentage of children and adolescents affected by obesity has more than tripled since the 1970s. And then simultaneously, schools are cutting back on active hours. Parents need to step up and fill that void. We need to lead by example and also lead from a place of inclusion. It’s one thing to go to the gym in the early hours of the morning before your kids get up and it’s another thing to run a race together or do a body weight workout together. Active time is definitely quality time and it teaches your children that working out and activity are fun parts of your day, not times to be dreaded or avoided. To this day, if I do a plank with my son nearby, he will run over and crawl under my plank and then lay on top of me until I can’t hold the plank any longer. That’s much more fun than being in the gym by myself! If more families could incorporate movement or active time into their days, our country would be a much healthier place.